Available 24/7 from WASR ! WASR - 1420AM Listen weekday mornings...Start off your day with LOCAL WEATHER REPORTS from NH meteorologist Kevin Skarupa. WASR brings you the weather every 10-Minutes during the Morning Report. Kevin's local reports are tailored to our area using the facilities of WMUR -TV9 for NH. After the Morning Report, and on weekends, you'll hear WASR's Gary James with weather updates all throughout the day. WASR WEATHERPHONE: (603) 569-LAKE Call us anytime to hear the current and long range forcast from your phone. 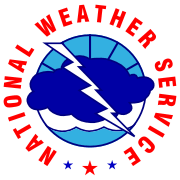 www.WASR.net has local weather anytime featuring National Weather Service Reports. SEVERE WEATHER ALERTS: When severe weather threatens...it's best to tune directly to WASR 1420AM...as the EMERGENCY ALERT SYSTEM will override our regular broadcasts with the IMPORTANT WEATHER INFORMATION YOU NEED!